Frankly I am a little tired of the psych revival. I’m a little tired of bands whose labels say they sound like The Byrds. I’m not sure about The Byrds. Their best songs were written by Dylan and Pete Seeger, and taking it even further, the one thing The Byrds brought to the West Coast music scene that has truly stuck since then is a penchant for bands to derive their sound from someone else. There, I’ve said it. 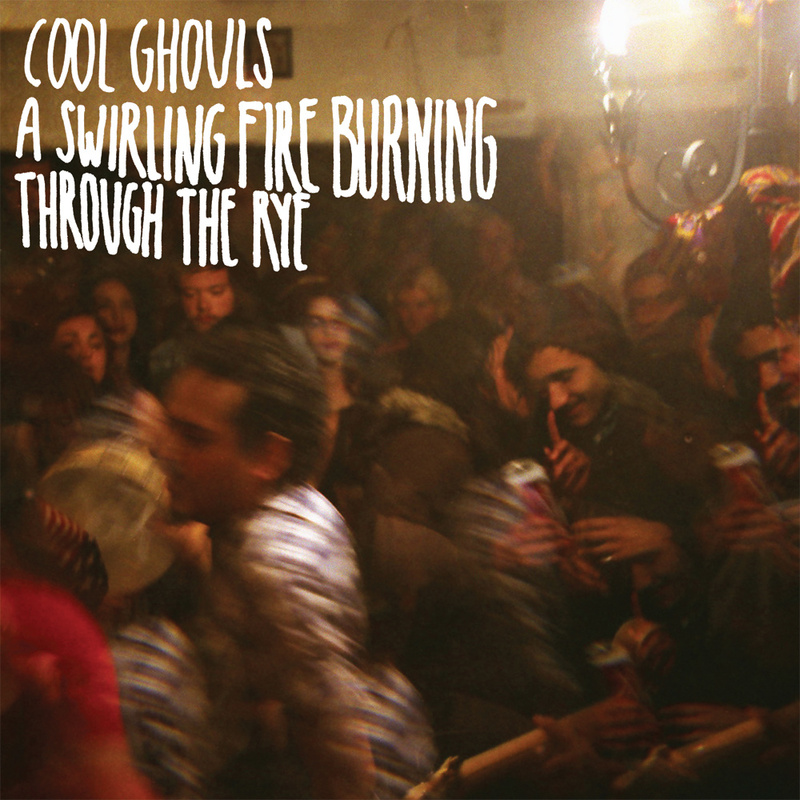 After all that, I still like the Cool Ghouls new release, A Swirling Fire Burning Through the Rhye, even though it comes very close to winning the most annoying and pretentious album title of 2014. Cool Ghouls have nary one ounce of a creative take on the garage-psych sound and their trilogy of vocalists sound more like The Mamas & the Papas or The 5th Dimension than The Byrds. (Or really, like the obnoxious male grandchildren of The Mamas & the Papas or 5th Dimension who live in the rich hills and stucco hollers of San Francisco). The opening track ‘And It Grows’ is one of the stronger tracks and sets a pretty good foundation for what to expect, but the second song, ‘The Mile’, illustrates the weaknesses of this band. The simple chord to start things off sounds a bit amateurish before it finally builds into a decent chord progression. However, there are several songs to enjoy here. One in particular is ‘What a Dream I Had’, which has that lazy 60s feel to it. This sort of atmosphere is continued on in perhaps the strongest track, ‘Reelin’. All in all, in fits and starts throughout Cool Ghouls’ first release, there is plenty to like and look forward to as they develop as a band. Not certain their retro vocals won’t wear on you as they did me after a few listens, or that their occasional guitar forays don’t sound a bit too comic book at times, but this all could equate into a good stage show and a good musical foundation to build on. Geez Jim , where's the love man ? What about Gene Clark ! I'm with you on the psych revival thing though.